Despite a progressive shift toward deregulation and an influx of airline reforms, several Chinese investors are moving beyond their home turf and establishing new entrants on foreign soil. Cambodia State Secretariat of Civil Aviation spokesman Sinn Chanserey Vutha told AIN that four Chinese-backed carriers—KC International Airlines, Cambodia Airways, Domrey Angkor Airlines, and MJ Airlines—have reached various stages of applying for their air operator certificates (AOC) with plans to launch late this year or early next year. If approved, the new entrants would bring the tally of Cambodia’s airlines to 11, a large number for a relatively small market consisting of roughly 8 million passengers. In recent years, Cambodia’s liberalized regulatory environment has enabled Chinese groups to launch airlines and/or forge joint ventures with Cambodian investors. In 2014, two Chinese-backed carriers launched services: Cambodia Bayon Airlines—a wholly owned subsidiary of Bayon Holdings that enjoys financial backing from Aviation Industry Corporation of China’s Joy Air, and Bassaka Air, a joint venture between China International Travel Services and Hong Kong-listed NagaCorp. Last year, two more Chinese-backed airlines launched operations—JC International, which operates a small fleet of five Airbus A320s, and Lanmei Airlines, which leases two A321s and one A320. Like their predecessors, the new entrants concentrate on capturing the growing inbound Chinese travel market, which represents roughly 22 percent of Cambodia’s total passengers. Initially, the proposed startups must fly to other markets because Chinese regulators require foreign airlines to complete six months of flight and 1,000 cycles outside of China. Overall, China has invested more in foreign airlines than any other country. 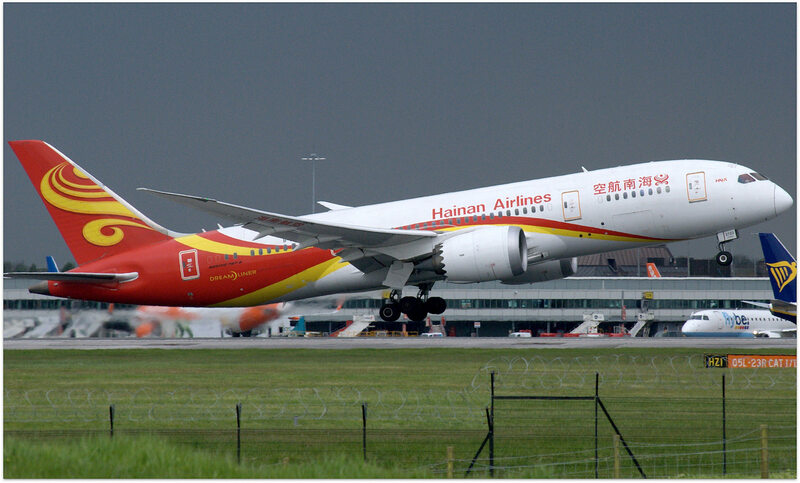 One particularly active investor—China’s HNA Group—either owns or holds stakes in 10 foreign airlines, including Hong Kong Airlines, Hong Kong Cargo, Hong Kong Express, Ghana’s Africa World Airlines, France’s Aigle Azur, Azul Brazilian Airlines, TAP Air Portugal, Virgin Australia, South Africa’s Comair, and Turkey-based MyCargo Airlines. Smaller players such as China’s Spring Airlines maintain a joint venture in Spring Airlines Japan. China Eastern holds a 10 percent stake in Air France-KLM and Air China holds minority stakes in Cathay Pacific, Cathay Dragon (via its stake in Cathay Pacific) and a 31 percent share in Tibet Airlines. In turn, Lhasa-based Tibet Airlines holds a 49 percent stake in Himalaya Airlines. Non-airline investors include China’s Henan Civil Aviation and Investment Company, which owns a 35 percent share in Luxembourg’s Cargolux. Chinese investment group CEFC China Energy holds a 49.9 percent stake in Czech charter company Travel Service, which owns 98 percent of Czech Airlines. Meanwhile, China’s Hualing Group owns a clutch of investments in Georgia, including MyWay Airlines. The new startup recently launched its first charter flight from Tbilisi to Tehran with plans to offer scheduled international flights from May 2018.